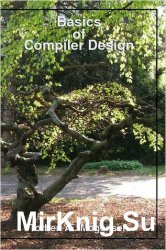 In order to reduce the complexity of designing and building computers, nearly all of these are made to execute relatively simple commands (but do so very quickly). A program for a computer must be built by combining these very simple commands into a program in what is called machine language. Since this is a tedious and errorprone process most programming is, instead, done using a high-level programming language. This language can be very different from the machine language that the computer can execute, so some means of bridging the gap is required. This is where the compiler comes in. A compiler translates (or compiles) a program written in a high-level programming language that is suitable for human programmers into the low-level machine language that is required by computers. During this process, the compiler will also attempt to spot and report obvious programmer mistakes. Compared to machine language, the notation used by programming languages is closer to the way humans think about problems. The compiler can spot some obvious programming mistakes. Programs written in a high-level language tend to be shorter than equivalent programs written in machine language. Another advantage of using a high-level level language is that the same program can be compiled to many different machine languages and, hence, be brought to run on many different machines.